Opened at the northern tip of the island in 1904 and with a renovation completed in 2005. It has an extensive collection of sculptures from the medieval period to the late eighteenth century, with a notable collection of Byzanthine art. Since the museum’s reopening in 2009, it has presented a selection of outstanding pieces from the Egyptian Museum and the Collection of Classical Antiquities. A bust of the Egyptian queen Nefertiti is the museum’s showpiece exhibit. This is the second of the museums completed on the island, in 1876. Set on a plinth and rising impressively over the Museum Island, some call it a “temple of the arts” inspired by the Acropolis. Its collection focuses on 19th century art. 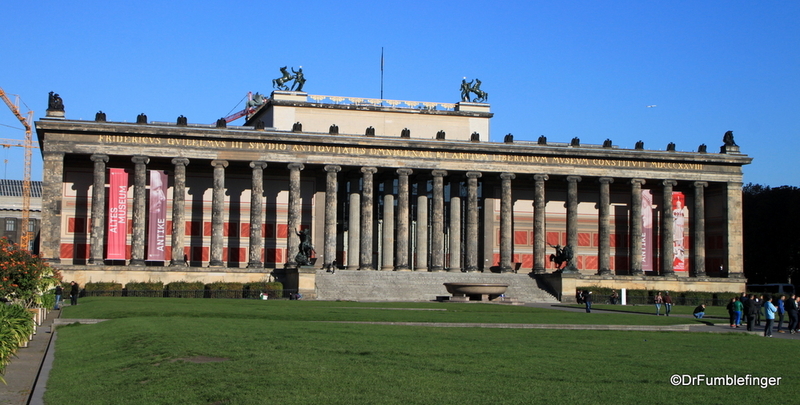 The first museum on the island dating to 1830 was the Altes Museum. Today, after refurbishment, the museum is home to a permanent exhibition showcasing the arts and sculpture from classical antiquity, from ancient Greece to the Roman Empire. 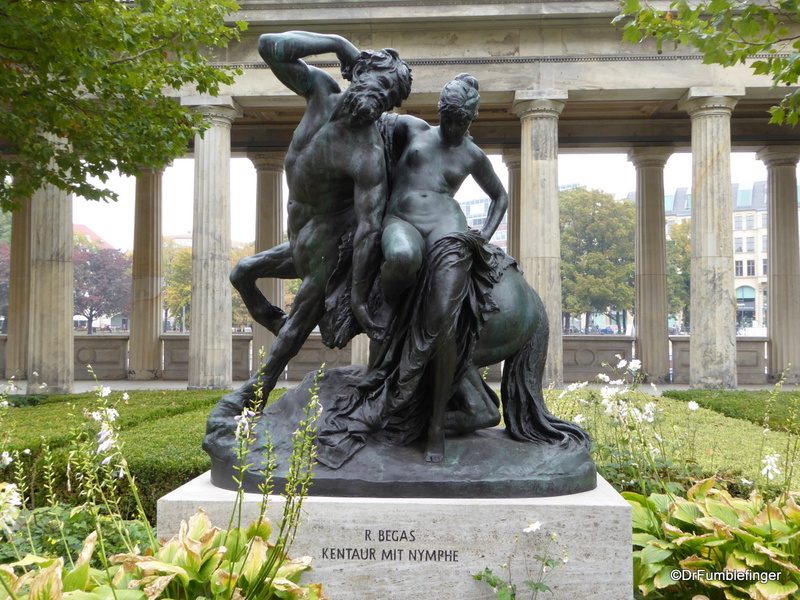 The Second World War left much of Berlin, including Museum Island, badly damaged and the Neues Museum in ruins. Following the end of WWII, Museum Island was in the East Germany section under whose regime reconstruction of the damaged museums began. However, the Neues Museum was left a ruin until after reunification. Work on Museum Island continues to this day, under a master plan that included a rebuilding and remodeling of all of the island’s museums. In 2019 the Humboldt Forum will open in the Berlin Palace rebuild opposite the Lustgarden. There will be a main central entrance opening that offers access to the individual museums, comparable to the Louvre’s entrance in Paris. 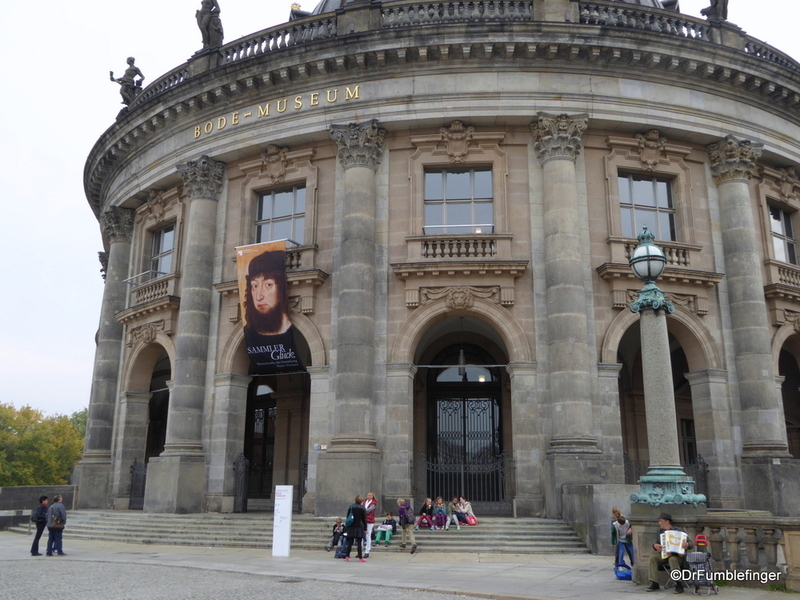 A cruise on the River Spree offers unique views of most of the museums, but so does a walk around Museum Island, which is how I’d like to conclude this post. The most popular public place is the Lustgarden, in front of the Altes Museum and Berliner Dom, an open space that’s great for people-watching. Here are some more views as you stroll around the island.